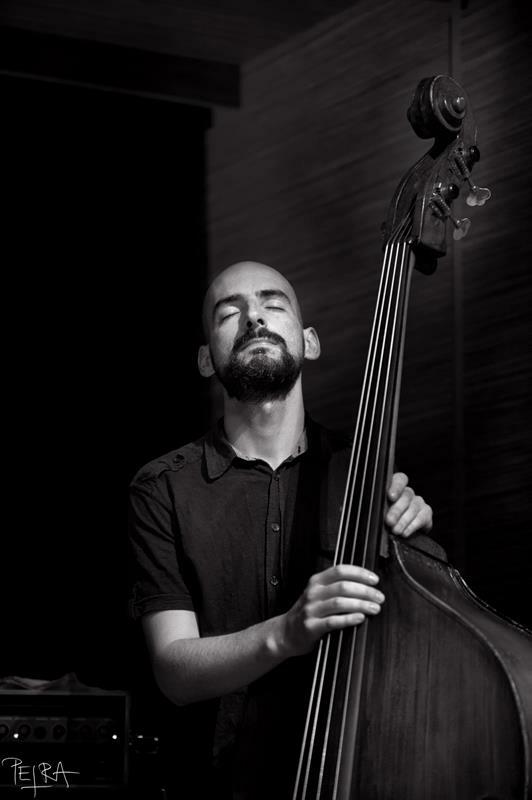 Bassist and composer Gonçalo Almeida (Lisbon, 1978) lives in Rotterdam, Netherlands, where he studied at the Rotterdams Conservatorium with Hein van Geyn, Stefan Lievestro, Marius Beets and Peter Leerdman. He has been making a mark as one of Netherlands’s most interesting new generation bass players. His projects involve the forerunners of the Dutch and Portuguese jazz scenes, bridging modern jazz, free jazz, jazzcore and free improvisation. He has shared the stage with improvisers such has Ab Baars, Balasz Pandi, Chris Speed, Carlos Zíngaro, Fred Lonberg-Holm , Jasper Stadhouders, Jorrit Dijkstra, Martin van Duynhoven, Rodrigo Amado, Tobias Klein, and Wilbert de Joode, among others. In addition has worked with video artists, modern dancers, poets and theater makers, such as Arnold Dreyblatt, Julyen Hamilton, Rita Vilhena, and others. Since 2008 he created LAMA trio for which he plays the role of bandleader/composer, having toured internationally and worked with guests, American Saxophonist Chris Speed and Belgium clarinettist Joachim Badenhorst, on two record releases for the label Clean Feed Records. In 2010 created Rotterdam´s based Jazzcore trio Albatre, which combines improvisation, with blasting and powerful rhythms, been extremely active in the Netherlands, having successfully made a collaborative bridge on the New uprising Jazzcore Dutch scene, where names such as Cactus Truck, Donne & Desire, and Dead Neanderthals have been interactive. (CR015) OUT ROOM Luis Lopes (guitar) / Gonçalo Almeida (doublebass) / Rogier Smal (drums) (CR014) BUKU /// SANTOS SILVA/ STADHOUDERS/ ALMEIDA/ COSTA Susana Santos Silva (trp.) / Jasper Stadhouders (g.) / Gonçalo Almeida (db.) / Gustavo Costa (dr.) (CR013) TETTERAPADEQU /// Descanso Del Dopo Popo Daniele Martini : saxes / Giovanni di Domenico : pn / Gonçalo Almeida : db / João Lobo : dr.
She leads her projects Impermanence and Life and Other Transient Storms (with Lotte Anker, Sten Sandell, Jon Fält and Torbjörn Zetterberg), and co-leads duos with Zetterberg (also in trio with Hampus Lindwall), Kaja Draksler, Jorge Queijo, Alexandra Nilsson, and a quartet with Christine Wodrascka, Christian Meaas Svendsen and Håkon Berre. 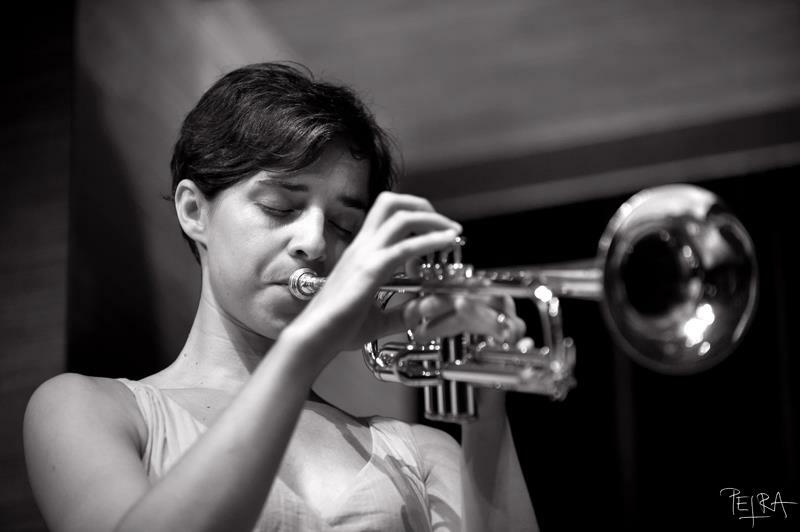 She is also part of the LAMA trio, Torbjörn Zetterberg’s Och Den Stora Frågan and Coreto. 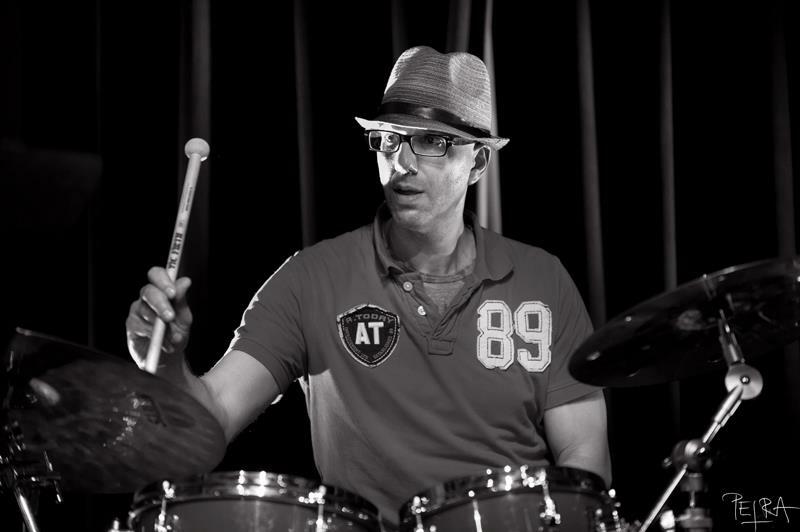 Greg Smith, born and raised in Montreal Canada, studied in the classical department at McGill University for two years before dropping out and switching to drumset. Learned to play jazz drums by watching and listening to some of his favorites including Elvin Jones, Al Foster, Tony Williams, Jack Dejohnette. Greg’s first jazz band was LIFE ON MARS. This band recorded and played with David Binney. In 1997 Greg moved to Holland and began composing for modern dance/ballet and film for companies in Europe. Greg also plays different styles of music including R&B, African, and Hiphop. He recently played a concert for Bill Withers in Theatre Carre Amsterdam with Grammy nominee Ryan Shaw, Kori Withers (daughter of Bill), and Sandra St Victor (Family Stand).